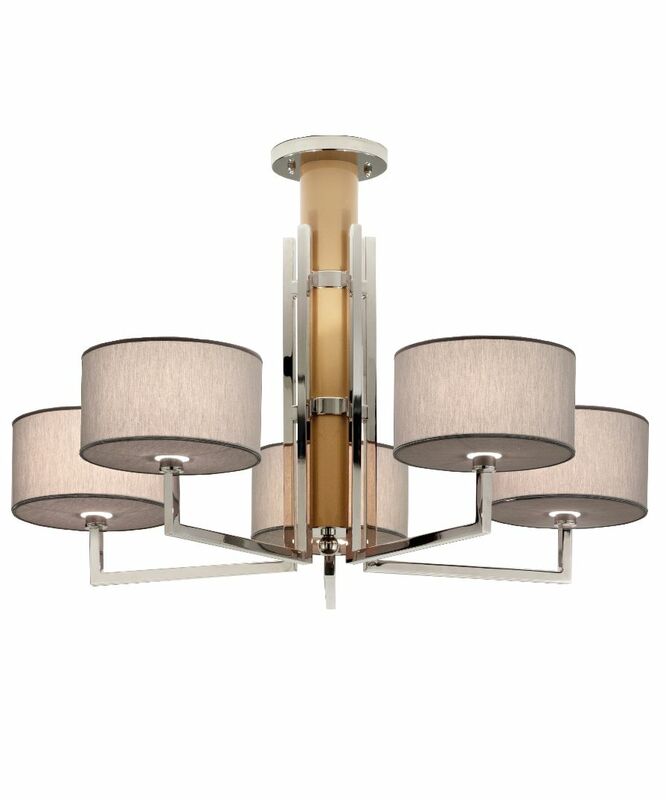 A 5 light pendant with a nut brown painted stem and finished in polished nickel. The chandelier comes with either stone coloured or dark grey chinette shades. Other finishes available.